Once the download is complete, locate it and open it in an extraction program. I am using 7zip. Extract. 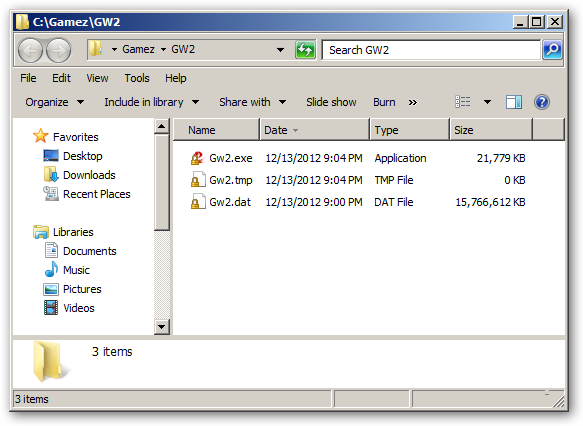 Point to the GW2 directory and click OK.
Close 7zip. 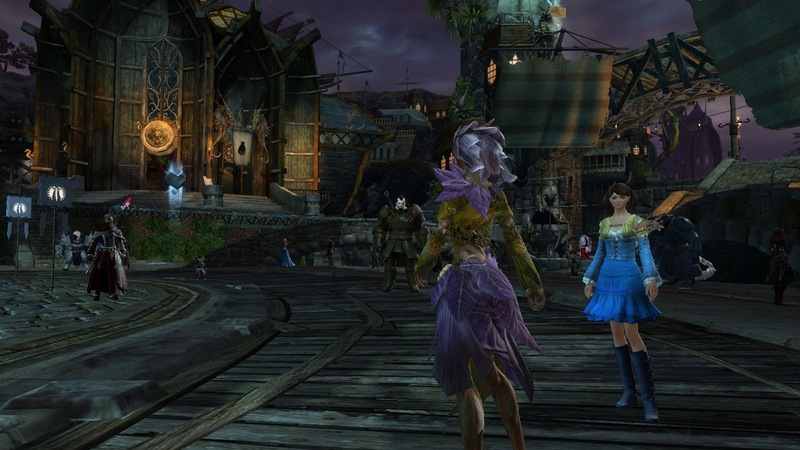 Your GW2 should look like this. 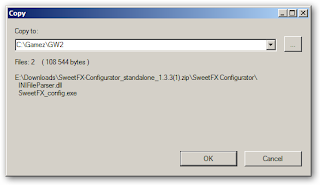 Download SweetFX Configurator HERE. 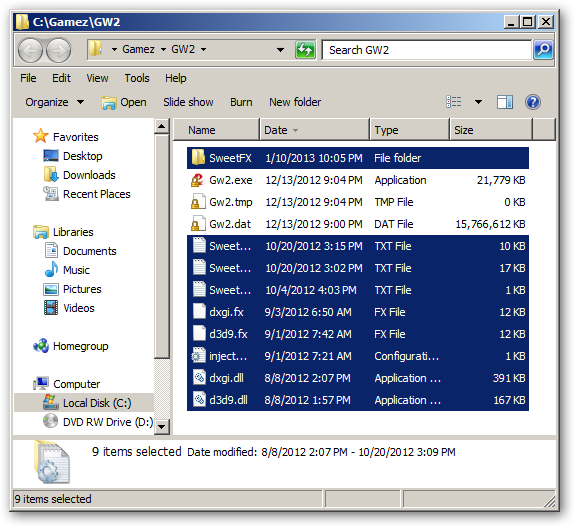 While it is downloaded, learn more about the software HERE and HERE. This program is to further tweak any defaulted settings. 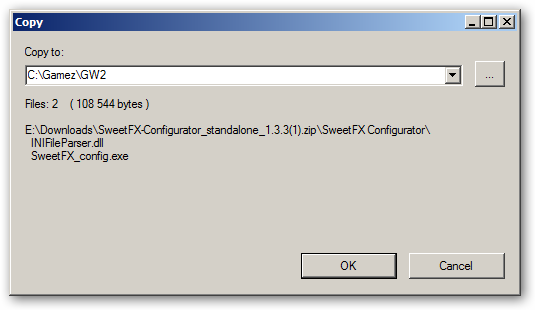 You will not be using this right away if you like the results of the SweetFX_settings.txt that I am supplying below. 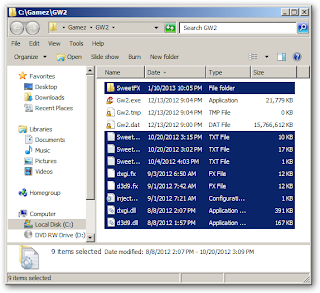 Within 7zip, double click the directory to see the files inside. Highlight the two files highlighted below and click Extract. 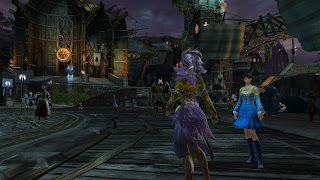 Point to the GW2 directory and click OK.
To use my personal settings, please download the file from HERE. 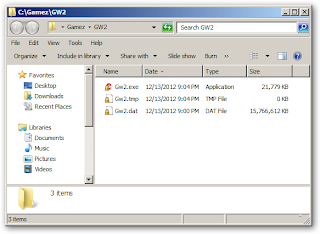 Once downloaded, rename the file SweetFX_settings.txt and overwrite the file that currently exists in your GW2 directory.